With dogs, training happens every moment you interact with them. Everything a dog does or is allowed to do is part of training that dog. 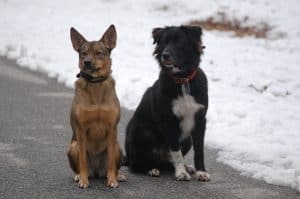 Even unintentionally, we train our dogs by not stopping unwanted behaviors just as much as working with our dogs, training them to do things like teaching sit and roll over. 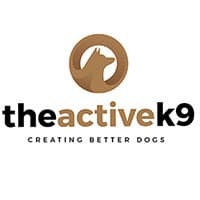 When you make each moment matter with your dogs, training opportunities abound! For example, when you get ready to take a walk and are at the front door, wait until your dog is calm before opening the door to start. If you are having trouble getting your dog to calm down, use the door to help. Open the door slightly, and when your dog bolts forward, close the door and walk away. Repeat this exercise until your dog understand that in order to start on the walk, he needs to be calm and wait for you to invite him to go. This should only take a few attempts to leave before he has figured out how to behave at the door. Another opportunity to improve your dogs training can be when you go to feed your dog. You’ve filled your dog’s dish with kibble. Hold the dish up and wait for your dog to sit (without giving any commands). Then slowly lower the dish. If your dog stands or goes to move, lift the bowl back up and wait. Repeat until you can put the dish on the ground without your dog going for the food. Then, wait for eye contact and at that point, allow your dog to eat. These kind of moments encourage your dog to look to you for guidance in key moments, and that is one huge benefit of giving dogs training! That they look to you in times when they are unsure, worried, or just need your permission shows just how much your daily training moments affect your dog! And all it takes is a few little moments throughout the day! If you need a little extra help with your dog’s training, take a look at our training programs. Or, for free how-to videos and training updates, check out our Facebook page and Youtube channel.